Rothwell Contracting is a Wexford based company which specialises in the recovery of all types of organic waste to land. 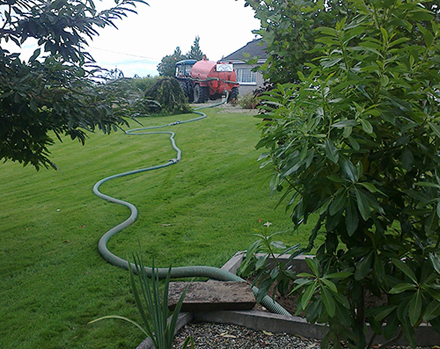 We have over 30 years experience in recovering all types of agricultural slurry to land. We have over 15 years experience in setting up landbanks and recovering waste sludges to land for the food industry. 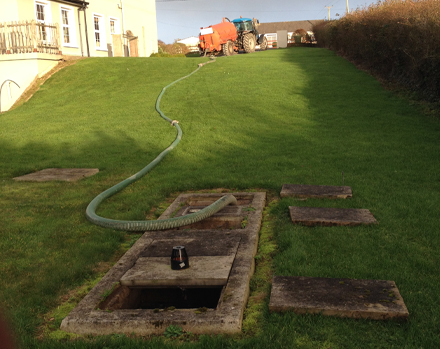 We also collect domestic sewage from private households and process it for further licensed disposal. Waste water leaves the house via drains and the septic tanks allows the solids to settle from the liquids and then the liquid can drain away to the soak pit area. The heavy solids (sewage sludge) sink to the bottom of the tank and this builds up over time. 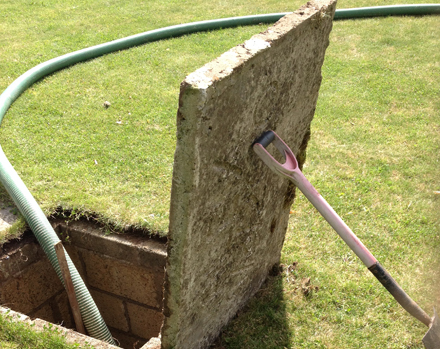 In order for your septic tank to work efficiently you will need to de-sludge your tank on a regular basis. This will keep all your drains clear, stop the solids escaping to your soak pit area and keep all unpleasant odours away. 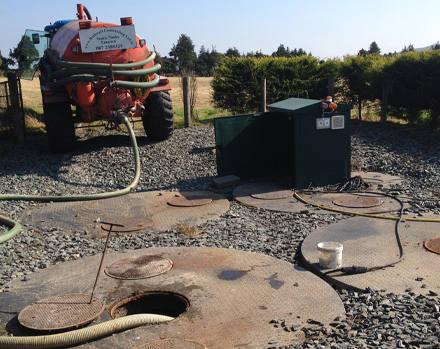 When it comes to emptying your septic tank we specialize in understanding the needs of our customers. We will arrive at an agreed date and time to empty your tank. We understand the importance of emptying your tank with the minimum of disruption to you and your property. We use tractor and vacuum tankers to empty the tanks as these are very manoeuvrable in confined spaces and are very tarmac friendly. 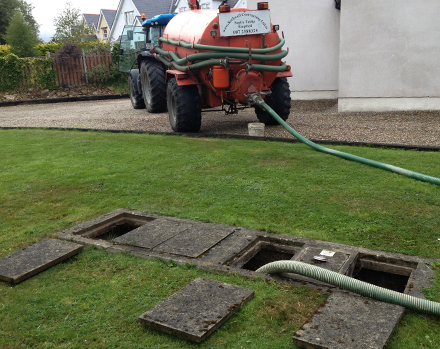 We have over 45 metres of hosing and wide low ground pressure tyres in order reach even the most remote of tanks and preserve lawns and tarmacadam. All the sewage sludge is taken to our own permitted site for storage and pre treatment before going on for further licenced disposal. Details of our Waste Collection Permit and disposal route are available at any time which will assure you that everything is carried out in a correct, legal and environmentally friendly way. In our opinion we would recommend that you de-sludge your tank on a regular basis, all according to the amount of people that live in your house. Most standard tanks with a normal family will need to be done at least every two years. We can empty your tank as a one-off job or organize to remind you when we feel it needs to be done again. The idea of disposing of waste sludges is now no longer the way to go. Nowadays we talk about recovering waste sludges to land and preferably use it in stead of chemical fertilizers. We now offer our clients a complete weighbridge to land recovery service for their waste sludges. A comprehensive examination of the sludge is carried out. A Nutrient Management Plan is then compiled on the basis of the sludge content and in accordance with all environmental regulations. Suitable land is then sourced to suit the nutrient management plan. Storage for winter non - spreading months and crop growing seasons is then sourced if necessary. This may have to be permitted with the local authority. We then can apply the sludge in a professional manor and in accordance with the code of good spreading practice. 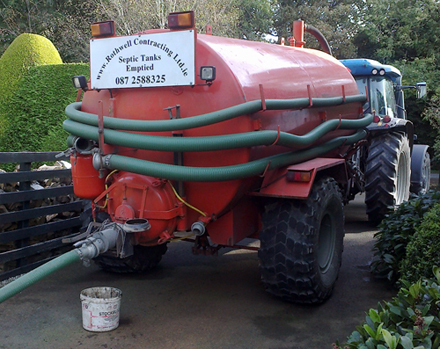 We collect and spread the sludges with modern, well serviced and clean agricultural tractors and vacuum tankers. The spreading tankers are fitted with metering equipment in order to ensure correct application of sludg. All of this is recorded and sent to the relevant authorities and the client. Details of our Waste Collection Permit are available at all times in order to assure the client that sludges are taken away in a correct manor.